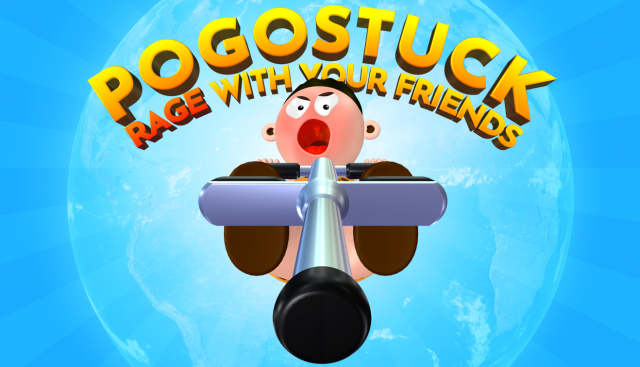 I want to present you my new game I've been working on since last year, called "Pogostuck: Rage With Your Friends". 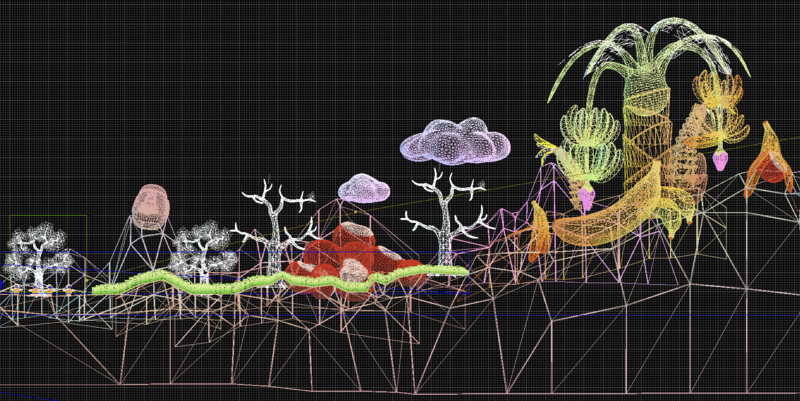 It's a one level game about climbing a surreal mountain on a pogo stick. Controls are deceptively simple, just rotate the character and jump, yet they take a ton of time to master - "prolonging" the playtime to a couple of hours. If you've seen or played Getting Over It with Bennett Foddy you know what it's up to or inspired by. The game features automatic matchmaking for multiplayer halfway around the globe, no PvP collisions, just racing against each other or casually jumping along. Unlock hats and other equip to differentiate your character from others. The trailer is subject to change still, had to make it prematurely to put up the store page. Had to rewrite the level format a bunch of times, in particular as I planned to ship with a level editor at first (which would have been based on custom imported meshes though, only a few example models included). The 2D collision detection on 3D models was rather tricky to implement and took many months to make it smooth and rather bug free. I wrote a custom c_move at one point but gave up when I had to do rotations - although c_rotate can be quite buggy it's still hard to redo that yourself. The game is mostly done, currently finishing up sounds and localization. I should be done in February, then ship the game shortly after. It looks great! Everything is in harmony, the graphics are beautiful, modern and pleasant for the eyes. Animated effects and animals in the background is a very nice, very dynamic game - i like this. Great work! I wish you all luck!! Good luck with your trailer! Cool! Few 3d elements and no dynamic lights in there, isn't it? It looks really soft and shinny. Good work! I feel hard to convince the troop to play a game like yours, but I will try. It's all 3D assets, some dynamic but passable deco objects and a single dynamic obstacle at the end. Not quite sure what you mean with "few 3d elements" otherwise. There's dynamic sun lighting from the upper left, so to speak, with shadow mapping. There's no other light sources in the game though. Haha you don't have to! It's better they don't play it than give it a try and hate it. Oh I see what you mean. Yeah I had some dynamic lighting in Superku so shading would change based on Superku's position but not here (except on player's equipment). Btw. as pretty much all of the geometry is unique and the game is approximately 23x30 screens big, and assuming I'd need one image per screen, which is uncompressed 6MB at 1920x1080, I'd need 4140MB of memory for those alone. BMAPs use twice the amount of memory though, once for acknex data, once for DirectX memory, so it would be 8280MB then. Ok. Thank you for the clarification. Go on! Superku, you are awesome. I cant wait to play this. Graphics look great and welcoming, animations looks funny, and control looks delightfully tight and loose at the same time. I am definitely going to buy and support. EDIT: @Emre: Thank you as well!